This project, designed by Alt Breeding Schwarz Architects in the Annapolis, MD area features custom Weather Shield windows and patio doors supplied by Quality Window & Door. The windows are traditional in style and give the home an authentic look that is consistent with homes that are native to the Chesapeake region. 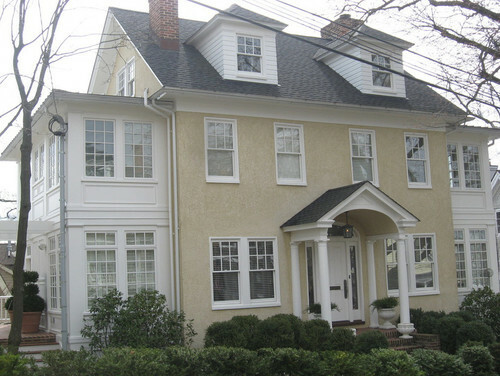 This project features traditional style custom windows manufactured by Weather Shield. Quality Window & Door supplied the windows for this new home, designed by Alt Breeding Schwarz Architects. The home features a number of window and patio door types including casement windows, double hung windows, awning windows and hinged patio doors. All windows are traditional in design with simulated divided lites, giving the home an authentic traditional look consistent with homes native to the area. Alt Breeding Schwarz Architects is an Annapolis, MD based architecture firm specializing in both residential and commercial projects. Founded in 1997, the firm has completed more than $500 million in new construction and renovation projects which have received numerous design awards and recognition. Their commitment to high quality and synergistic approach across the company has produced some of the finest homes and commercial buildings in the Chesapeake region.